Our busy San Francisco clients were in search of a Napa Valley retreat to escape on the weekends with their young daughters. They found their dream property overlooking the rolling hills and vineyards of wine country and approached prefab builder Blu Homes with their vision of building a sustainable vacation home with expansive outdoor spaces. Napa Interior Designer, Niche Interiors, worked closely with Blu Homes to select finishes and fixtures and to customize this energy-efficient prefab home, with bespoke features such as the faux-bois plaster wall in the master bedroom, floor to ceiling chalkboard cabinetry in the kitchen, and woodsy wallpaper in the girls bedroom. Niche Interiors collaborated with Terra Ferma Landscapes on the outdoor spaces, creating custom cushions and pillows for the fire pit and outfitting the pool cabana with sheer drapes to filter the sun on warm summer days. 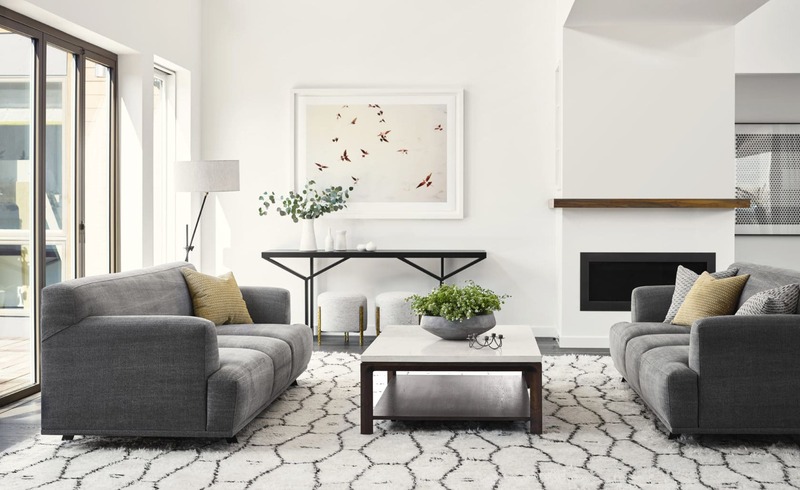 The furnishings blend mid-century shapes with low-profile modern pieces for a relaxed, informal vibe. 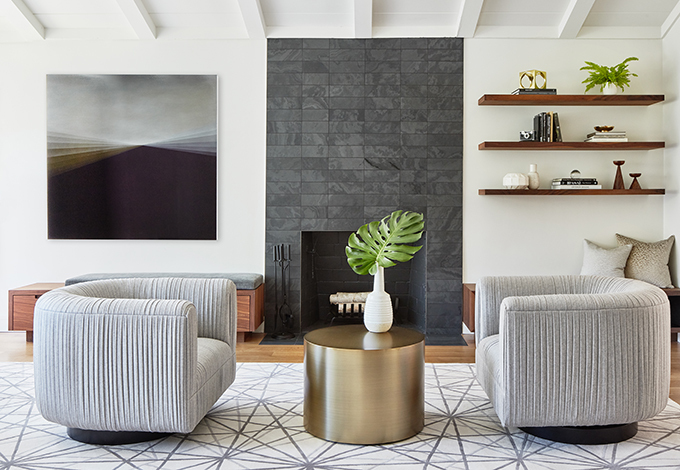 Textural rugs and fabrics and hand crafted wood pieces add warmth and layers to the space, allowing the contemporary artwork to take center stage. A variety of local artisans left their touch on the home, including a custom 11 foot long rift oak dining table with molded plywood pendant lights above. The living room is grounded by two custom eco-friendly sofas made of natural latex, organic wool, and FSC-certified wood frames. Sitting here now, our Napa home is stunning. I feel deeply grateful and fortunate that I had the opportunity to partner with Jennifer and Niche and hope to do so on my next project.